Many clubs place players on teams based on various school catchment areas or group kids with their friends. While this might be beneficial in terms of organization, we must ask if this is the best way to develop our players as they enter the key development years of 7-9. Most can relate to watching mini soccer and seeing that 3 or 4 players dominate in game situations, leaving other players to rarely touch the ball. Placing these players in another division, would allow for the remaining players to get more involved, take on more leadership roles and acquire more interest. Further, it allows for more touches on the ball, which supports skill development. With a wide range of abilities in mixed groups, coaches can find it challenging to find activities that engage all players on the team. This can lead to the content being too difficult for some and too simple for others. By grouping players with similar ability, coaches will be able to deliver activities at a pace that will meet their players’ needs. In this way, instruction is differentiated, meeting players at their level with the goal of moving them along the continuum of Long Term Player Development. The issue of unbalanced teams is one that many clubs have to deal with. There are teams of players that go through a season with very little success, leaving players, parents and coaches discouraged. This can lead to problems of player and coach retention. Having teams of players with similar abilities would help to alleviate these issues. The goal of ability based teams is to allow all players to play at their skill and confidence level. We want all players to be challenged, to build their skills and to enjoy their playing experiences. We wish to provide coaches with technical support to ensure they are meeting the needs of their players. We believe that providing children with the opportunity to play with and against those of similar ability will enhance both player and coach development. Year-long evaluation of players with an opportunity for upward movement (no downward movement within a playing year). A clear communication plan to parents and coaches not only in the beginning stages, but year-long. At this stage coaches and technical staff will focus on the principles set out in “Learn to Train”, the third stage of the Long Term Player Development Model (set out by the CSA). Basic principles of play, training ethic, decision making, environmental awareness and discipline will be focused on. All U8-10 Teams play in the Tri-City Youth Soccer Association (TCYSA) in either the house or or development league. How are decisions made if players are placed on a team playing in the Tri-Cities Development League or Tri-Cities House League? 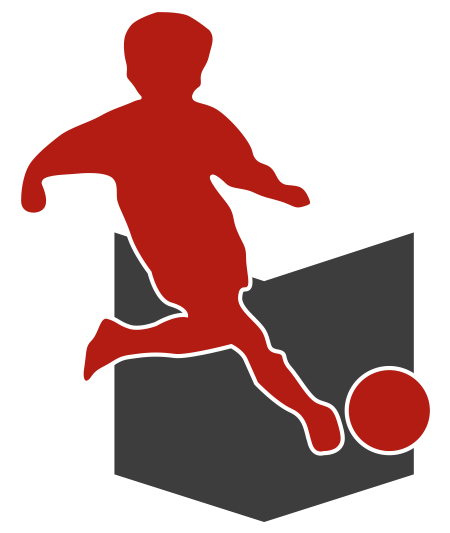 Teams are formed through evaluations of players during their season starting at U7. This will be taken from observation by the technical staff coaches, the parent coaches and also through assessment of players through various Port Coquitlam Euro-Rite FC Camps and Academies. Will teams be balanced in the Development Division and House Division? Teams will be formed with all efforts to balance all teams in the House and the Development Divisions. This will be done in collaboration with the Poco Euro-Rite FC Technical Director, Mini’s Program Director and Mini’s Technical Staff. How do I register for the Tri-Cities House League or the Development League? We will start the team formation process of the Development teams first. This will begin in early June. We will proceed with the House teams after this, but will not have House rosters finalized until mid-late August. No, it is the same cost for registration for both the House and Development League. Additional fees may apply to join the optional academy program. If you are a new player playing in our club, you will initially be placed on the House Team, unless otherwise assessed in a Port Coquitlam Euro-Rite FC club Academy or Camp. As players are registered, parents are asked to indicate if they are willing to volunteer as Head Coaches, Assistant Coaches, and Managers. We will look at all parents that have put their names forward as well as recommendations from the Technical Staff Team. How many teams will there be in the House and Development Divisions? Based on registration numbers in each club, we are looking on average to have 30% of the players placed in the Development Division and 70% in the House Division. We will assess each season if additional Development teams will be added. Does my son/daughter get to play with their friends? In the House Division all efforts will be made to honour friend requests, keeping in mind that our first priority will be to make sure that all teams are balanced in terms of ability. On the Development side there will be less emphasis on friend requests, with the priority being balanced teams. Any players registering after the deadline of June 1st, will most likely not have any requests looked at. Some may and some may not. Due to the nature of the two tiers, teams will change and so might coaches. Every effort will be made to maintain status quo with a commitment to balancing teams to ensure the best success for all. Yes, there will be continued evaluation throughout the season. Initially, we will keep the Development League teams smaller to allow movement, if possible. If my child is placed in the Development stream, will they be moved into the House stream in the same season? No, there will be no movement from Development to House during the season, unless requested by the family. However, all players will be assessed through the year and may or may not be placed on a Development team for the following season. We will be playing 6 aside at Under 8. This means 5 outfield players and a goalie. We will be playing 7 aside at Under 9 & 10. This means 6 outfield players and a goalie. Will we be playing with other clubs in our District? Yes, we will be interlocking with Coquitlam Metro Ford Soccer Club and Port Moody Soccer Club for the Development and House League Divisions. Will the House and Development teams have different uniforms? Mini teams are assigned different colours so that when they play each other there aren’t conflicts. Each team will also have pinnies, if conflicts between uniforms arise. Most teams will train once per week and play a game once per week. Training days will be determined in September. Games are on Saturdays for boys and Sundays for girls. Teams are not formed based on day of the week training requests. Winter break starts 2nd weekend in December with games starting 2nd weekend in January. Exact dates will be communicated to the teams each year. The regular season wraps up at the Mini Jamboree generally held the weekend before SD43 Spring Break. The weekend of the Mini Jamboree, each U8-U10 team plays 2 games on Saturday and 2 games on Sunday. More information will be available on the website as we approach the weekend. This is also the weekend that Registration starts for the next season. Click here for Fields Page. Games times will vary. Times will be scheduled between 9:00am to 4:00pm. You will receive more information about this in late August/early September. Schedule Information. Your child will need to have soccer shoes, shin pads and a water bottle. These are mandatory at every game and practice. Players need runners as practices are held indoors in gymnasiums starting in October. Your registration fee covers the cost of games, practices, fields, gyms, jersey, shorts and socks, and referee’s when required. What does the U8, U9, U10, etc. mean? For example, for a player to participate in the U8 level, he or she must be 7 years old and not have attained the age of 8 years prior to December 31st of the year that you are registering in.